Will 2017 be the year of professional groups? If you’re a Millennial, probably not; too old school. The generation that makes up 24% of the American population has made a decisive move away from traditional professional organizations. Where are they going? To newer websites like FounderSociety, YEC and Levo; all online communities that focus their curation and capital on Millennials. John Rampton, a businessman and contributor to Entrepreneur, was well aware of the distaste for traditional professional groups two years ago. “The value millennials put on social capital is fueling the reemergence of younger professional organizations that bring quality to a space diluted by Facebook posts and constant, but distant, connections,” Rampton wrote. Despite this mass migration away from suited-up conferences, many professionals young and old still swear by the manifold benefits of a good old-fashioned professional association. We’ve put together their top three reasons why these groups remain relevant. Finding the right job, as the old saying goes, is more about who you know than what you know. We’ll admit the adage isn’t applicable to remote workers who use freelance sites to win work, but when it comes to the suit-and-tie workplace, it still holds true. Joining a professional organization, Rampton pointed out, is like signing up for the most effective job alert you can find. “Your freshly-formed network can connect you with individuals and companies searching for someone with your specific talents or, if you’re hiring, introductions to top candidates when they begin looking for open positions,” Rampton wrote. Levo, one of the most popular new-era professional groups, points out the websites run by professional organizations often have powerful job-search tools members can use to pinpoint the perfect job. “Many professional organizations have websites which members can customize with their resume, career interests and location preferences. The site targets certain job openings based on the profile and sends them to members,” Levo’s Madeline Stilly wrote in 2012. 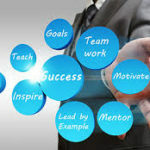 Most experts agree that one of the most valuable facets of a professional organization is the chance to learn from fellow professionals who have plenty of experience to share. 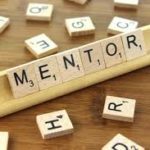 The real power behind these mentor relationships lies in the vast database of members most legitimate organizations have. Because groups tend to have national and even international members, there are thousands of people who are able to connect with you. While Millennials may not buy into professional organizations, they do understand the value of mentorship. The leading associations in your field have a tremendous amount of financial and professional resources, and, as such, they can provide access to information non-members wouldn’t be able to get without paying a considerable amount. Kelly A. Cherwin, director of editorial strategy for HigherEdJobs, provided a taste of which educational materials are available to members of professional associations. Along with this onslaught of digital information are in-real-life conferences where thought leaders delve into the industry’s most relevant and current nuances. The benefits of professional organizations are undisputed, but they often fall flat when professionals see the cost of joining. Many of the premier professional associations charge members hundreds of dollars per year. The American Institute of CPAs, for example, starts their regular yearly membership dues at $255. Is it worth the cost for cash-strapped Millennials or industry vets? We think the answer is clear. Yes, the education, networking and job opportunities professional organizations offer are well worth the dues you pay to stay in the group.